Collin Carter was raised in a poor family in the center of Detroit, Michigan. After graduating in one of the worst school districts in the country, he aimed high and sought out to defy the odds and become successful. He invested much of his early 20s into working out and weight training, using his neighborhood community center's gym to get fit and tone his body. 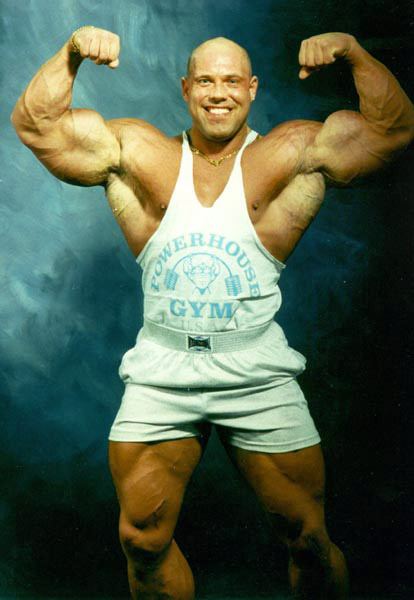 He went on to participate in multiple weight lifting competitions and body building contests. After around ten years in the body building circuit, he decided that he was bored of the career choice. He moved to Tampa, Florida and began training to become a professional wrestler. After about five years of training, he moved back to the Detroit area and purchased a home 10 miles north of the city in a town called Troy. Afterwords, he began to seek out a professional wrestling federation that was worthy for him. He extends his elbow out to the side and connects with extreme force to his opponent's jawbone. A simple arm raise to the fans. He sets his sights on his opponent and quickly charges at them. Collin Carter sends his arm out to the side and slams his arm into the opponents chest with tremendous force, knocking them onto the ground. Carter flexes his shoulder muscle one more time before turning his attention back to the opponent. Thanks man! And sounds good. Can't wait to see it. Collin, what's your status now in the roster? Have you renamed yourself to AJ Skills? Where does it leave Carter character? Am I allowed to used him in Bolshoi Booze roleplay (since Booze lost to Carter last show)?